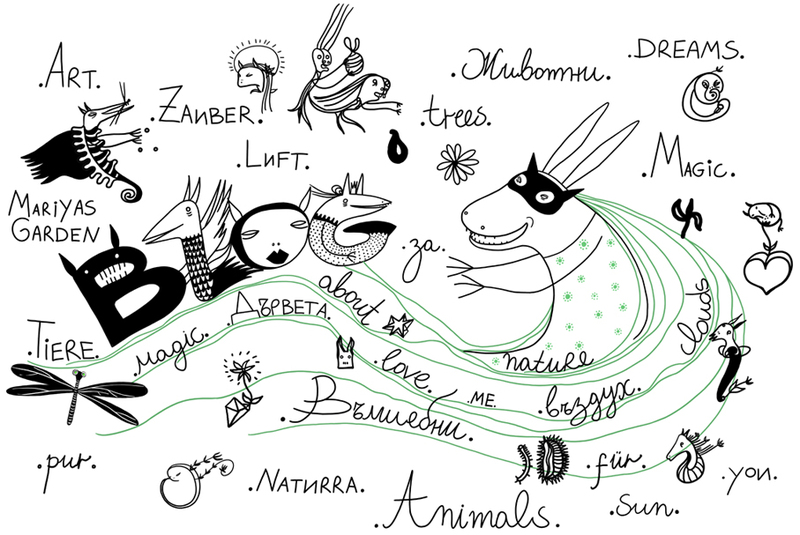 I am finishing some illustrations about one of my Magic Animals named Zamburalessa. She waited passionately in my sketchbook some years, until last spring. She showed herself in the lake and asked me for some food to feed her ducks. She was so funny and with her stories she definitely changed the last spring for me. I was very inspired and draw some pictures but did not finish them, because it is always so much to draw. (There is always someone around who comes to tell a story and wants to be drawn :) I think I am not very fast with all these documentation about all creatures as I wish to be :) This spring I met her again in the lake and felt myself very guilty when she asked me to show her some pictures (for her portraits)... Now they are almost ready :) I hope to find time to write her stories too and to tell you more about her. Thank you very much for the kind words Marite :)!